Peter and Betsy Nenni of Cary are happy to announce the engagement of their daughter, Rachel Nenni, to Nick Kukuc of Naperville, son of Terri Messina of Naperville and Stanley Kukuc of Villa Park. Rachel, a 2009 graduate of Cary-Grove High School, received a bachelor's degree in secondary education and an English teaching certificate from DePaul University in 2013. She is an English teacher and a volleyball coach at East Aurora High School. 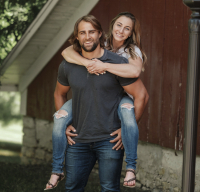 Nick, a 2009 graduate of Naperville Central High School, received a bachelor's degree in physical education from North Central College in 2014. He is a physical education teacher and head football coach at East Aurora High School. A wedding is planned for July 19 in Oswego.